Beauty and the Beast is a 1991 American animated musical romantic fantasy film produced by Walt Disney Feature Animation and released by Walt Disney Pictures. The 30th Disney animated feature film and the third released during the Disney Renaissance period, it is based on the French fairy tale of the same name by Jeanne-Marie Leprince de Beaumont who was uncredited in the English version but credited in the French version, and ideas from the 1946 French film of the same name directed by Jean Cocteau. Beauty and the Beast focuses on the relationship between the Beast (voice of Robby Benson), a prince who is magically transformed into a monster and his servants into household objects as punishment for his arrogance, and Belle (voice of Paige O'Hara), a young woman whom he imprisons in his castle to become a prince again. To break the curse, Beast must learn to love Belle and earn her love in return before the last petal falls from an enchanted rose or else the Beast will remain a monster forever. The film also features the voices of Richard White, Jerry Orbach, David Ogden Stiers, and Angela Lansbury. Walt Disney first attempted unsuccessfully to adapt Beauty and the Beast into an animated film during the 1930s and 1950s. Following the success of The Little Mermaid (1989), Walt Disney Pictures decided to adapt the fairy tale, which Richard Purdum originally conceived as a non-musical. 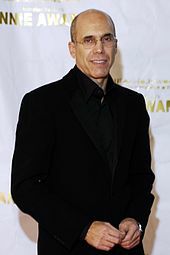 Disney chairman Jeffrey Katzenberg eventually dismissed Purdum's idea and ordered that the film be a musical similar to The Little Mermaid instead. The film was directed by Gary Trousdale and Kirk Wise, with a screenplay by Linda Woolverton story first credited to Roger Allers. Lyricist Howard Ashman and composer Alan Menken wrote the film's songs. Ashman, who additionally served as the film's executive producer, died of AIDS-related complications six months before the film's release, and the film is thus dedicated to his memory. Beauty and the Beast premiered as an unfinished film at the New York Film Festival on September 29, 1991, followed by its theatrical release as a completed film at the El Capitan Theatre on November 13. The film grossed $425 million at the box office worldwide on a $25 million budget. Beauty and the Beast won the Golden Globe Award for Best Motion Picture – Musical or Comedy, the first animated film to ever win that category. It also became the first animated film to be nominated for the Academy Award for Best Picture at the 64th Academy Awards, where it won the Academy Award for Best Original Score and Best Original Song for its title song and received additional nominations for Best Original Song and Best Sound. In April 1994, Beauty and the Beast became Disney's first animated film to be adapted into a Broadway musical. The success of the film spawned two direct-to-video follow-ups: Beauty and the Beast: The Enchanted Christmas (1997) and Beauty and the Beast: Belle's Magical World (1998), both of which take place in the timeline of the original. This was followed by a spin-off television series, Sing Me a Story with Belle. An IMAX version of the film was released in 2002, and included "Human Again", a new five-minute musical sequence that was previously included in the 1994 musical. That same year, the film was selected for preservation in the National Film Registry by the Library of Congress for being "culturally, historically, or aesthetically significant". After the success of the 3D re-release of The Lion King, the film was reissued in 3D in 2012. A live-action adaptation of the film directed by Bill Condon was released on March 17, 2017. An enchantress disguised as a beggar arrives at a French castle and offers a cruel and selfish prince a rose in return for shelter. When he refuses, she reveals her identity. To punish the prince for his lack of compassion, the enchantress transforms him into a beast and his servants into household objects. She casts a spell on the rose and warns the prince that the curse will only be broken if he learns to love another, and earn their love in return, before the last petal falls on his 21st birthday. Ten years later, in a nearby village, a beautiful, young, book-loving woman named Belle dreams of adventure and brushes off advances from Gaston, a handsome, narcissistic and arrogant hunter. On his way to a fair and lost in the forest, Belle's father Maurice seeks refuge in the Beast's castle, but the Beast imprisons him. When Maurice's horse returns without him, Belle ventures out in search for him, and finds him locked in the castle dungeon. The Beast agrees to let her take Maurice's place. Belle befriends the castle's servants, who invite her to a spectacular dinner. When she wanders into the forbidden west wing and finds the rose, the Beast scares her into the woods. She is ambushed by a pack of wolves, but the Beast rescues her, and is injured in the process. As Belle nurses his wounds, a friendship develops between them. Meanwhile, Maurice returns to the village and fails to convince the townsfolk of Belle's predicament. Gaston then bribes Monsieur D'Arque, the warden of the town's insane asylum to have Maurice locked up if Belle refuses to marry Gaston. After sharing a romantic dance with the Beast, Belle discovers her father's predicament using a magic mirror. The Beast releases her to save Maurice, giving her the mirror to remember him with. After taking Maurice to the village, Belle reveals the Beast in the mirror to the townsfolk, proving her father's sanity. Realizing that Belle loves the Beast, a jealous Gaston has her thrown into the basement with her father. He rallies the villagers to follow him to the castle to slay the Beast before he curses the whole village. Maurice and Belle escape with Chip's assistance, and Belle rushes back to the castle. During the battle, the beast's servants fend off the villagers. Gaston attacks the Beast in his tower, who is too heartbroken from Belle's departure to fight back, but regains his spirit upon seeing Belle return. He defeats Gaston, but spares his life before reuniting with Belle. However, Gaston mortally wounds the Beast with a knife, but loses his footing from the Beast's thrashing, and he falls to his death. [a] The Beast dies in her arms as the last petal falls. Belle tearfully professes her love to the Beast and the curse is undone, reviving the Beast and restoring his human form along with all his servants. The Prince and Belle host a ball for the kingdom, where they dance happily. Paige O'Hara as Belle – A bibliophilic young woman who seeks adventure, and offers her own freedom to the Beast in return for her father's. In their effort to enhance the character from the original story, the filmmakers felt that Belle should be "unaware" of her own beauty and made her "a little odd". Wise recalls casting O'Hara because of a "unique tone" she had, "a little bit of Judy Garland", after whose appearance Belle was modeled. James Baxter and Mark Henn served as the supervising animators for Belle. Robby Benson as Beast – A young prince who is transformed into a beast by an enchantress as punishment for his arrogance. The animators drew him with the head structure and horns of an American bison, the arms and body of a bear, the ears of a deer, the eyebrows of a gorilla, the jaws, teeth, and mane of a lion, the tusks of a wild boar, and the legs and tail of a wolf. Chris Sanders, one of the film's storyboard artists, drafted the designs for the Beast and came up with designs based on birds, insects, and fish before coming up with something close to the final design. Glen Keane, supervising animator for the Beast, refined the design by going to the zoo and studying the animals on which the Beast was based. Benson commented, "There's a rage and torment in this character I've never been asked to use before." The filmmakers commented that "everybody was big fee-fi-fo-fum and gravelly" while Benson had the "big voice and the warm, accessible side" so that "you could hear the prince beneath the fur". Richard White as Gaston – A vain hunter who vies for Belle's hand in marriage and is determined not to let anyone else win her heart. He serves as a foil personality to the Beast, who was once as egotistical as Gaston prior to his transformation. Gaston's supervising animator, Andreas Deja, was pressed by Jeffrey Katzenberg to make Gaston handsome in contrast to the traditional appearance of a Disney villain, an assignment he found difficult at first. In the beginning, Gaston is depicted as more of a narcissist than a villain, but later he threatens to put Maurice in a mental institution if Belle doesn't marry him, and eventually leads all the villagers to kill the beast, enraged that Belle would love a Beast more than him. Jerry Orbach as Lumière – The kind-hearted but rebellious valet of the Beast's, who has been transformed into a candlestick. He has a habit of disobeying his master's strict rules, sometimes causing tension between them, but the Beast often turns to him for advice. He is depicted as flirtatious, as he is frequently seen with the Featherduster and immediately takes a liking to Belle. A running gag throughout the movie is Lumière burning Cogsworth. Nik Ranieri served as the supervising animator for Lumière. David Ogden Stiers as Cogsworth – Majordomo, the head of the household staff and Lumière's best friend, who has been transformed into a clock. He is extremely loyal to the Beast so as to save himself and anyone else any trouble, often leading to friction between himself and Lumière. Will Finn served as the supervising animator for Cogsworth. Stiers also narrates the prologue. Angela Lansbury as Mrs. Potts – The castle cook, turned into a teapot, who takes a motherly attitude toward Belle. The filmmakers went through several names for Mrs. Potts, such as "Mrs. Chamomile", before Ashman suggested the use of simple and concise names for the household objects. David Pruiksma served as the supervising animator for Mrs. Potts. Bradley Pierce as Chip – Mrs. Potts' son, who has been turned into a teacup. Originally intended to only have one line, the filmmakers were impressed with Pierce's performance and expanded the character's role significantly, eschewing a mute Music Box character. Pruiksma also served as the supervising animator for Chip. Rex Everhart as Maurice – Belle's inventor father. The villagers see him as insane for crafting devices believed impossible to construct in reality, but his loyal daughter believes he will be famous one day. Ruben A. Aquino served as the supervising animator for Maurice. Jesse Corti as Lefou – Gaston's often abused yet loyal sidekick. Chris Wahl served as the supervising animator for Lefou. Hal Smith as Philippe – Belle's Belgian horse. Russ Edmonds served as the supervising animator for Philippe. Jo Anne Worley as the Wardrobe – The castle's authority over fashion, and a former opera singer, who has been turned into a wardrobe. The character of Wardrobe was introduced by visual development person Sue C. Nichols to the then entirely male cast of servants, and was originally a more integral character named "Madame Armoire". Wardrobe is known as "Madame de la Grande Bouche" (Madame Big Mouth) in the stage adaptation of the film and is the only major enchanted object character whose human form does not appear in the film. Tony Anselmo served as the supervising animator for the Wardrobe. Mary Kay Bergman and Kath Soucie as the Bimbettes – A trio of village maidens who constantly fawn over Gaston, known as the "Silly Girls" in the stage adaptation. Brian Cummings as the Stove – The castle's chef who has been transformed into a stove. He is named Chef Bouche in 1998's Belle's Magical World. Alvin Epstein as the Bookseller – The owner of a book shop in Belle's hometown. Tony Jay as Monsieur D'Arque – The sadistic warden of the Asylum de Loons. Gaston bribes him to help in his plan to blackmail Belle. Alec Murphy as the Baker – The owner of a bakery in Belle's hometown. Kimmy Robertson as the Featherduster – A maid and Lumière's sweetheart, who has been turned into a feather duster. She is never given a proper name in the 1991 film (listed as Featherduster in the credits); Babette is the name given to this character later in the 1994 stage adaptation of the film; Fifi in the 1998 animated musical film Belle's Magical World and Plumette in the 2017 live-action remake. Frank Welker as Sultan – The castle's pet dog turned into a footstool. After the success of Snow White and the Seven Dwarfs in 1937, Walt Disney sought out other stories to adapt into feature films, with Beauty and the Beast being among the stories he considered. Attempts to develop the Beauty and the Beast story into a film were made in the 1930s and 1950s, but were ultimately given up because it "proved to be a challenge" for the story team. Peter M. Nichols states Disney may later have been discouraged by Jean Cocteau having already done his 1946 version. Decades later, during the production of Who Framed Roger Rabbit in 1987, the Disney studio resurrected Beauty and the Beast as a project for the satellite animation studio it had set up in London, England to work on Roger Rabbit. Richard Williams, who had directed the animated portions of Roger Rabbit, was approached to direct but declined in favor of continuing work on his long-gestating project The Thief and the Cobbler. In his place, Williams recommended his colleague, English animation director Richard Purdum, and work began under producer Don Hahn on a non-musical version of Beauty and the Beast set in 19th-century France. At the behest of Disney CEO Michael Eisner, Beauty and the Beast became the first Disney animated film to use a screenwriter. This was an unusual production move for an animated film, which is traditionally developed on storyboards rather than in scripted form. Linda Woolverton wrote the original draft of the story before storyboarding began, and worked with the story team to retool and develop the film. Upon seeing the initial storyboard reels in 1989, Walt Disney Studios chairman Jeffrey Katzenberg ordered that the film be scrapped and started over from scratch. Upon seeing the initial storyboard reels in 1989, Walt Disney Studios chairman Jeffrey Katzenberg ordered that the film be scrapped and started over from scratch. A few months after starting anew, Purdum resigned as director. The studio had approached Ron Clements and John Musker to direct the film, but they turned down the offer, saying they were "tired" after just having finished directing Disney's recent success The Little Mermaid. Disney then hired first-time feature directors Kirk Wise and Gary Trousdale. Wise and Trousdale had previously directed the animated sections of Cranium Command, a short film for a Disney EPCOT theme park attraction. In addition, Katzenberg asked songwriters Howard Ashman and Alan Menken, who had written the song score for The Little Mermaid, to turn Beauty and the Beast into a Broadway-style musical film in the same vein as Mermaid. Ashman, who at the time had learned he was dying of complications from AIDS, had been working with Disney on a pet project of his, Aladdin, and only reluctantly agreed to join the struggling production team. To accommodate Ashman's failing health, pre-production of Beauty and the Beast was moved from London to the Residence Inn in Fishkill, New York, close to Ashman's New York City home. Here, Ashman and Menken joined Wise, Trousdale, Hahn, and Woolverton in retooling the film's script. Since the original story had only two major characters, the filmmakers enhanced them, added new characters in the form of enchanted household items who "add warmth and comedy to a gloomy story" and guide the audience through the film, and added a "real villain" in the form of Gaston. These ideas were somewhat similar to elements of the 1946 French film version of Beauty and the Beast, which introduced the character of Avenant, an oafish suitor somewhat similar to Gaston, as well as inanimate objects coming to life in the Beast's castle. The animated objects were, however, given distinct personalities in the Disney version. By early 1990, Katzenberg had approved the revised script, and storyboarding began again. The production flew story artists back and forth between California and New York for storyboard approvals from Ashman, though the team was not told the reason why. Disney had originally considered casting Jodi Benson from The Little Mermaid as Belle. They eventually decided upon Broadway actress and singer Paige O'Hara in favor of having a heroine who sounded "more like a woman than a girl". According to co-director Kirk Wise, O'Hara was given the role because she "had a unique quality, a tone she would hit that made her special", reminiscent to that of American actress and singer Judy Garland. O'Hara, who, after reading about the film in The New York Times, competed for the role against 500 hopefuls, believes the fact that lyricist Howard Ashman admired her cast recording of the musical Show Boat proved integral in her being cast. A frame from the "Beauty and the Beast" ballroom dance sequence. The background is animated using computer generated imagery which, when the traditionally animated characters are composited against it using Pixar's CAPS system, gives the illusion of a dollying film camera. Production of Beauty and the Beast was to be completed on a compressed timeline of two years rather than the traditional four-year Disney Feature Animation production schedule; this was due to the loss of production time spent developing the earlier Purdum version of the film. Most of the production was done at the main Feature Animation studio, housed in the Air Way facility in Glendale, California. A smaller team at the Disney-MGM Studios theme park in Lake Buena Vista, Florida assisted the California team on several scenes, particularly the "Be Our Guest" number. Beauty and the Beast was the second film, after The Rescuers Down Under, produced using CAPS (Computer Animation Production System), a digital scanning, ink, paint, and compositing system of software and hardware developed for Disney by Pixar. The software allowed for a wider range of colors, as well as soft shading and colored line effects for the characters, techniques lost when the Disney studio abandoned hand inking for xerography in the early 1960s. CAPS/ink & paint also allowed the production crew to simulate multiplane effects: placing characters and/or backgrounds on separate layers and moving them towards/away from the camera on the Z-axis to give the illusion of depth, as well as altering the focus of each layer. In addition, CAPS/ink & paint allowed an easier combination of hand-drawn art with computer-generated imagery, which before had to be plotted to animation paper and then xeroxed and painted traditionally. This technique was put to significant use during the "Beauty and the Beast" waltz sequence, in which Belle and Beast dance through a computer-generated ballroom as the camera dollies around them in simulated 3D space. The filmmakers had originally decided against the use of computers in favor of traditional animation, but later, when the technology had improved, decided it could be used for the one scene in the ballroom. Before that, CGI environments had first been printed out as wireframe, but this was the first time Disney made use of 3D rendering. The success of the ballroom sequence helped convince studio executives to further invest in computer animation. The final dance between Belle and the Prince was reused from the final dance sequence between Princess Aurora and Prince Phillip from the 1959 film Sleeping Beauty. According to Trousdale, this was done because production of the film was nearing the deadline, and this was the easiest way to do that sequence. Ashman and Menken wrote the Beauty song score during the pre-production process in Fishkill, the opening operetta-styled "Belle" being their first composition for the film. Other songs included "Be Our Guest," sung (in its original version) to Maurice by the objects when he becomes the first visitor to eat at the castle in a decade, "Gaston," a solo for the swaggering villain, "Human Again," a song describing Belle and Beast's growing love from the objects' perspective, the love ballad "Beauty and the Beast (Tale as Old as Time)" and the climactic "The Mob Song." As story and song development came to a close, full production began in Burbank while voice and song recording began in New York City. The Beauty songs were mostly recorded live with the orchestra and the voice cast performing simultaneously rather than overdubbed separately, in order to give the songs a cast album-like "energy" the filmmakers and songwriters desired. During the course of production, many changes were made to the structure of the film, necessitating the replacement and re-purposing of songs. After screening a mostly animated version of the "Be Our Guest" sequence, story artist Bruce Woodside suggested that the objects should be singing the song to Belle rather than her father. Wise and Trousdale agreed, and the sequence and song were retooled to replace Maurice with Belle. The film's title song went through a noted bit of uncertainty during production. Originally conceived as a rock-oriented song, it was changed to a slow, romantic ballad. Howard Ashman and Alan Menken asked Angela Lansbury to perform the song, but she did not think her voice was suited for the melody. When she voiced her doubts, Menken and Ashman asked her for at least one take and told her to perform the song as she saw fit. Lansbury reportedly reduced everyone in the studio to tears with her rendition, nailing the song in the one take asked of her. This version went on to win the Oscar for Best Original Song. "Human Again" was dropped from the film before animation began, as its lyrics caused story problems about the timeline over which the story takes place. This required Ashman and Menken to write a new song in its place. "Something There," in which Belle and Beast sing (via voiceover) of their growing fondness for each other, was composed late in production and inserted into the script in place of "Human Again." Menken would later revise "Human Again" for inclusion in the 1994 Broadway stage version of Beauty and the Beast, and another revised version of the song was added to the film itself in a new sequence created for the film's Special Edition re-release in 2002. Ashman died of AIDS-related complications at the age of 40 on March 14, 1991, eight months before the film's release. He never saw the finished film, though he did get to see it in its unfinished format. Ashman's work on Aladdin was completed by another lyricist, Tim Rice. Before Ashman's death, members of the film's production team visited him after the film's well-received first screening, with Don Hahn commenting that "the film would be a great success. Who'd have thought it? ", to which Ashman replied with "I would." A tribute to the lyricist was included at the end of the credits crawl: "To our friend, Howard, who gave a mermaid her voice, and a beast his soul. We will be forever grateful. Howard Ashman: 1950–1991." A pop version of the "Beauty and the Beast" theme, performed by Céline Dion and Peabo Bryson over the end credits, was released as a commercial single from the film's soundtrack, supported with a music video. The Dion/Bryson version of "Beauty and the Beast" became an international pop hit and performed considerably well on charts around the world. The song became Dion's second single to land within the top-10 of the Billboard Hot 100, peaking at number nine. The song peaked at number three on the Billboard Hot Adult Contemporary chart. In Canada, "Beauty and the Beast" peaked at number two. Outside of North America, the song peaked within the top ten in New Zealand and the United Kingdom, while peaking within the top twenty in Australia, Netherlands, and Ireland. The song sold over a million copies worldwide. This version of the song was also nominated for Record of the Year and Song of the Year at the Grammys, and it won the Grammy for Dion and Bryson for Best Pop Duo/Group Vocal Performance. In a first-time accomplishment for The Walt Disney Company, an unfinished version of Beauty and the Beast was shown at the New York Film Festival on September 29, 1991. The film was deemed a "work in progress" because roughly only 70% of the animation had been completed; storyboards and pencil tests were used in replacement of the remaining 30%. Additionally, certain segments of the film that had already been finished were reverted to previous stages of completion. At the end of the screening, Beauty and the Beast received a ten-minute-long standing ovation from the film festival audience. The completed film was also screened out of competition at the 1992 Cannes Film Festival. The finished film premiered at the El Capitan Theatre in Hollywood on November 13, 1991, beginning a limited release before expanding wide on November 22. The film was restored and remastered for its New Year's Day, 2002 re-release in IMAX theatres in a special-edition edit, including a new musical sequence. For this version of the film, much of the animation was cleaned up, a new sequence set to the deleted song "Human Again" was inserted into the film's second act, and a new digital master from the original CAPS production files was used to make the high-resolution IMAX film negative. A sing along edition of the film, hosted by Jordin Sparks, was released in select theaters on September 29 and October 2, 2010. Prior to the showing of the film, Sparks showed an exclusive behind-the-scenes look at the newly restored film and the making of her new Beauty and the Beast music video. There was also commentary from producer Don Hahn, interviews with the cast and an inside look at how the animation was created. A Disney Digital 3D version of the film, the second of a traditionally animated film, was originally scheduled to be released in US theatres on February 12, 2010, but the project was postponed. On August 25, 2011, Disney announced that the 3D version of the film would make its American debut at Hollywood's El Capitan Theatre from September 2–15, 2011. Disney spent less than $10 million on the 3D conversion. After the successful 3D re-release of The Lion King, Disney announced a wide 3D re-release of Beauty and the Beast in North America beginning January 13, 2012. The film was released to VHS on October 30, 1992 as part of the Walt Disney Classics series, and was later put on moratorium on April 30, 1993, it was not included in the Walt Disney Masterpiece Collection line. This version contains a minor edit to the film: skulls that appear in Gaston's pupils for two frames during his climactic fall to his death were removed for the original home video release. No such edit was made to later reissues of the film. The "work-in-progress" version screened at the New York Film Festival was also released on VHS and LaserDisc at this time; however, said version was the only one available on the latter format until the fall of 1993, when the completed theatrical version was released. This measure was to diminish the threat of video pirates making copies derived from the LaserDisc (which are not copy-protected) and selling them in international markets, where the film was yet to be available for home release. Beauty and the Beast: Special Edition, as the enhanced version of the film released in IMAX/large-format is called, was released on two-disc "Platinum Edition" DVD and VHS on October 8, 2002. The DVD set features three versions of the film: the extended IMAX Special Edition with the "Human Again" sequence added, the original theatrical version, and the New York Film Festival "work-in-progress" version. This release went to "Disney Vault" moratorium status in January 2003, along with its direct-to-video follow-ups Beauty and the Beast: The Enchanted Christmas and Belle's Magical World. The film was released from the vault on October 5, 2010 as the second of Disney's Diamond Editions, in the form of a three-disc Blu-ray Disc and DVD combination pack—the first release of Beauty and the Beast on home video in high-definition format. This edition consists of four versions of the film: the original theatrical version, an extended version, the New York Film Festival storyboard-only version, and a fourth iteration displaying the storyboards via picture-in-picture alongside the original theatrical version. Upon its first week of release, the Blu-ray sold 1.1 million units, topping the Blu-ray sales chart and finishing in third place on the combined Blu-ray and DVD sales chart for the week ending on October 10, 2010. It was the second-best-selling Blu-ray of 2010, behind Avatar. A two-disc DVD edition was released on November 23, 2010. A five-disc combo pack, featuring Blu-ray 3D, Blu-ray 2D, DVD and a digital copy, was released on October 4, 2011. The 3D combo pack is identical to the original Diamond Edition, except for the added 3D disc and digital copy. The Blu-ray release went into the Disney Vault along with the two sequels on April 30, 2012. A 25th-anniversary Signature Edition was released on Digital HD September 6, 2016 and was followed by Blu-ray/DVD combo pack on September 20, 2016. Upon its first week of release on home media in the U.S., the film topped the Blu-ray Disc sales chart, and debuted at number 3 in the Nielsen VideoScan First Alert chart, which tracks overall disc sales, behind Teenage Mutant Ninja Turtles: Out of the Shadows and Captain America: Civil War. Review aggregator website Rotten Tomatoes gives the film an approval rating of 94% based on reviews from 113 critics, with an average rating of 8.49/10. The website's critical consensus reads, "Enchanting, sweepingly romantic, and featuring plenty of wonderful musical numbers, Beauty and the Beast is one of Disney's most elegant animated offerings." The film also holds a 95/100 on Metacritic, which indicates the reviews as "universal acclaim". Audiences polled by CinemaScore gave the film a rare "A+" grade. Janet Maslin of The New York Times praised the film with the following statement, "Two years ago, Walt Disney Pictures reinvented the animated feature, not only with an eye toward pleasing children, but also with an older, savvier audience in mind. Disney truly bridged a generation gap with The Little Mermaid … Now, lightning has definitely struck twice with Beauty and the Beast." Awarding the film a perfect score of four stars, Roger Ebert of the Chicago Sun-Times compared Beauty and the Beast positively to Snow White and the Seven Dwarfs and Pinocchio, writing, "Beauty and the Beast reaches back to an older and healthier Hollywood tradition in which the best writers, musicians and filmmakers are gathered for a project on the assumption that a family audience deserves great entertainment, too." In 2001 Ebert again gave the IMAX re-release a full 4 out of 4 stars. James Berardinelli of ReelViews rated the film similarly while hailing it as "the finest animated movie ever made", writing, "Beauty and the Beast attains a nearly-perfect mix of romance, music, invention, and animation." The use of computer animation, particularly in the ballroom sequence, was singled out in several reviews as one of the film's highlights. Hal Hinson of The Washington Post gave the film a positive review, calling the film "A delightfully satisfying modern fable, a near-masterpiece that draws on the sublime traditions of the past while remaining completely in sync with the sensibility of its time." Janet Maslin of The New York Times gave the film a positive review, saying "It is a surprise, in a time of sequels and retreads, that the new film is so fresh and altogether triumphant in its own right." Dave Kehr of the Chicago Tribune gave the film three out of four stars, saying "Beauty and the Beast is certainly adequate holiday entertainment for children and their more indulgent parents … But the film has little of the technical facility, vivid characterization and emotional impact of Disney past." Jay Boyar of the Orlando Sentinel gave the film four out of five stars, saying "It's not an especially scary movie, but right from the start, you can tell that this Beauty and the Beast has a beauty of a bite." John Hartl of The Seattle Times gave the film three-and-a-half stars out of four, saying "It's exceptionally difficult to make an audience care for animated characters unless they're mermaids or anthropomorphized animals or insects, yet the Disney animators, with a big assist from the vocal talents of a superb cast, have pulled it off." Gene Siskel, also of the Chicago Tribune, gave the film four out of four stars, saying "Beauty and the Beast is one of the year's most entertaining films for both adults and children." On their Beauty and the Beast edition of Siskel & Ebert, both Siskel and Roger Ebert proclaimed that the film is "a legitimate contender for Oscar consideration as Best Picture of the Year." Michael Sragow of The New Yorker gave the film a positive review, saying "It's got storytelling vigor and clarity, bright, eclectic animation, and a frisky musical wit." Eric Smoodin writes in his book Animating Culture that the studio was trying to make up for earlier gender stereotypes with this film. Smoodin also states that, in the way it has been viewed as bringing together traditional fairy tales and feminism as well as computer and traditional animation, the film's "greatness could be proved in terms of technology narrative or even politics". Animation legend Chuck Jones praised the film, in a 1992 guest appearance on Later with Bob Costas he claimed he "Loved it. I think it should have won [Best Picture] … I think the animation on the beast is one of the greatest pieces of animation I've seen". Animation historian Michael Barrier wrote that Belle "becomes a sort of intellectual less by actually reading books, it seems, than by hanging out with them", but says that the film comes closer than other "Disney-studio" films to "accepting challenges of the kind that the finest Walt Disney features met". David Whitley writes in The Idea of Nature in Disney Animation that Belle is different from earlier Disney heroines in that she is mostly free from the burdens of domestic housework, although her role is somewhat undefined in the same way that "contemporary culture now requires most adolescent girls to contribute little in the way of domestic work before they leave home and have to take on the fraught, multiple responsibilities of the working mother". Whitley also notes other themes and modern influences, such as the film's critical view of Gaston's chauvinism and attitude towards nature, the cyborg-like servants, and the father's role as an inventor rather than a merchant. In 2010, IGN named Beauty and the Beast as the greatest animated film of all time, directly ahead of WALL-E, The Incredibles, Toy Story 2, and The Iron Giant. Several critics regard the 1991 animated film as superior to the 2017 live-action remake. Michael Phillips of the Chicago Tribune said that the 1991 film "worked wonderfully because it was pure Broadway, written for the screen, blending comedy and romance and magic and just enough snark in the margins", while the 2017 remake got lost in translation since "The movie takes our knowledge and our interest in the material for granted. It zips from one number to another, throwing a ton of frenetically edited eye candy at the screen, charmlessly." Phillips also wrote of the 2017 film that "too often we're watching highly qualified performers, plus a few less conspicuously talented ones (Watson, primarily), stuck doing karaoke, or motion-capture work of middling quality". Dana Schwartz of the Observer criticized some of the 2017 film changes to the characters like Gaston and the Beast as regressive by watering down their distinguishing personalities from the 1991 film, also arguing that the added backstory to the characters in the 2017 version failed to "advance the plot or theme in any meaningful way". David Sims of The Atlantic wrote that the 2017 film "feels particularly egregious, in part, because it's so slavishly devoted to the original; every time it falls short of its predecessor (which is quite often), it's hard not to notice". During its initial release in 1991, the film grossed $145.9 million in revenues in North America and $351.9 million worldwide. It ranked as the third-most successful film of 1991 in North America, surpassed only by the summer blockbusters Terminator 2: Judgment Day and Robin Hood: Prince of Thieves. At the time Beauty and the Beast was the most successful animated Disney film release, and the first animated film to reach $100 million in the United States and Canada in its initial run. In its IMAX re-release, it earned $25.5 million in North America and $5.5 million in other territories, for a worldwide total of $31 million. It also earned $9.8 million from its 3D re-release overseas. During the opening weekend of its North American 3D re-release in 2012, Beauty and the Beast grossed $17.8 million, coming in at the No. 2 spot, behind Contraband, and achieved the highest opening weekend for an animated film in January. The film was expected to make $17.5 million over the weekend; however, the results topped its forecast and the expectations of box office analysts. The re-release ended its run on May 3, 2012, and earned $47.6 million, which brought the film's total gross in North America to $219 million. It made an estimated $206 million in other territories, for a worldwide total of $425 million. Alan Menken and Howard Ashman's song "Beauty and the Beast" won the Academy Award for Best Original Song, while Menken's score won the award for Best Original Score. Two other Menken and Ashman songs from the film, "Belle" and "Be Our Guest", were also nominated for Best Original Song. Beauty and the Beast was the first picture to receive three Academy Award nominations for Best Original Song, a feat that would be repeated by The Lion King (1994), Dreamgirls (2006), and Enchanted (2007). Academy rules have since been changed to limit each film to two nominations in this category, due to the consecutive unintentional failures of Dreamgirls and Enchanted to win the award. The film was also nominated for Best Picture and Best Sound. It was the first animated film ever to be nominated for Best Picture, and remained the only animated film nominated until 2009 when the Best Picture field was widened to ten nominees, and it remains the only animated film nominated for the award when it had five nominees. It became the first musical in twelve years to be nominated for the Academy Award for Best Picture of the Year, following All That Jazz (1979), and the last one to be nominated until Moulin Rouge! (2001), ten years later. It lost the Best Picture award to The Silence of the Lambs as it became the third film to complete the big five Oscar sweep. With six nominations, the film currently shares the record for the most nominations for an animated film with WALL-E (2008), although, with three nominations in the Best Original Song category, Beauty and the Beast's nominations span only four categories, while WALL-E's nominations cover six individual categories. While The Little Mermaid was the first to be nominated, Beauty and the Beast became the first animated film to win the Golden Globe Award for Best Motion Picture – Musical or Comedy. This feat was later repeated by The Lion King and Toy Story 2. Best Pop Performance by a Group or Duo With Vocal For "Beauty and the Beast"
Best Song Written Specifically for a Motion Picture or for Television For "Beauty and the Beast"
Best Pop Instrumental Performance For "Beauty and the Beast"
In 2002, Beauty and the Beast was added to the United States National Film Registry as being deemed "culturally, historically, or aesthetically significant." In June 2008, the American Film Institute revealed its "Ten Top Ten" lists of the best ten films in ten "classic" American film genres, based on polls of over 1,500 people from the creative community. Beauty and the Beast was acknowledged as the seventh-best film in the animation genre. In previous lists, it ranked number 22 on the Institute's list of best musicals and number 34 on its list of the best romantic American films. On the list of the greatest songs from American films, Beauty and the Beast ranked number 62. According to an article in the Houston Chronicle, "The catalyst for Disney's braving the stage was an article by The New York Times theater critic Frank Rich that praised Beauty and the Beast as 1991's best musical Theatre Under The Stars executive director Frank Young had been trying to get Disney interested in a stage version of Beauty about the same time Eisner and Katzenberg were mulling over Rich's column. But Young couldn't seem to get in touch with the right person in the Disney empire. Nothing happened till the Disney execs started to pursue the project from their end … When they asked George Ives, the head of Actors Equity on the West Coast, which Los Angeles theater would be the best venue for launching a new musical, Ives said the best theater for that purpose would be TUTS. Not long after that, Disney's Don Frantz and Bettina Buckley contacted Young, and the partnership was under way." A stage condensation of the film, directed by Robert Jess Roth and choreographed by Matt West, both of whom moved on to the Broadway development, had already been presented at Disneyland at what was then called the Videopolis stage. Beauty and the Beast premiered in a joint production of Theatre Under The Stars and Disney Theatricals at the Music Hall, Houston, Texas, from November 28, 1993 through December 26, 1993. On April 18, 1994, Beauty and the Beast premiered on Broadway at the Palace Theatre in New York City to mixed reviews. The show transferred to the Lunt-Fontanne Theatre on November 11, 1999. The commercial (though not critical) success of the show led to productions in the West End, Toronto, and all over the world. The Broadway version, which ran for over a decade, received a Tony Award, and became the first of a whole line of Disney stage productions. The original Broadway cast included Terrence Mann as the Beast, Susan Egan as Belle, Burke Moses as Gaston, Gary Beach as Lumière, Heath Lamberts as Cogsworth, Tom Bosley as Maurice, Beth Fowler as Mrs. Potts, and Stacey Logan as Babette the feather duster. Many well-known actors and singers also starred in the Broadway production during its thirteen-year run, including Kerry Butler, Deborah Gibson, Toni Braxton, Andrea McArdle, Jamie-Lynn Sigler, Christy Carlson Romano, Ashley Brown, and Anneliese van der Pol as Belle; Chuck Wagner, James Barbour, and Jeff McCarthy as the Beast; Meshach Taylor, Patrick Page, Bryan Batt, Jacob Young, and John Tartaglia as Lumière; and Marc Kudisch, Christopher Sieber, and Donny Osmond as Gaston. The show ended its Broadway run on July 29, 2007 after 46 previews and 5,461 performances. As of 2017[update], it is Broadway's tenth-longest-running show in history. In June 2014, Walt Disney Pictures announced that a live-action film adaptation of the original film was in the works, with Bill Condon directing and Evan Spiliotopoulos writing the script. Condon originally planned on not only drawing inspiration from the original film, but also to include most, if not all, of the Menken/Rice songs from the Broadway musical, with the intention of making the film as a "straight-forward, live-action, large-budget movie musical". In September 2014, it was announced that Stephen Chbosky (The Perks of Being a Wallflower) would re-write the script. In January 2015, Emma Watson announced on her Facebook page that she would portray Belle in the new live action remake film. In March 2015, Dan Stevens, Luke Evans, Emma Thompson, Josh Gad, Audra McDonald, and Kevin Kline joined the film as the Beast, Gaston, Mrs. Potts, Lefou, Garderobe, and Maurice, respectively. The following month, Ian McKellen, Ewan McGregor, Stanley Tucci, and Gugu Mbatha-Raw joined the cast, as Cogsworth, Lumière, Cadenza, and Plumette, respectively. Composer Alan Menken returned to score the film's music, with new material written by Menken and Tim Rice. In June 2015, Menken said the film would not include the songs that were written for the Broadway musical. Filming began on May 18, 2015 in London, and production officially wrapped in August 2015. The film was released on March 17, 2017. Beauty and the Beast merchandise cover a wide variety of products, among them storybook versions of the film's story, a comic book based on the film published by Disney Comics, toys, children's costumes, and other items. In addition, the character of Belle has been integrated into the "Disney Princess" line of Disney's Consumer Products division, and appears on merchandise related to that franchise. In 1995, a live-action children's series entitled Sing Me a Story with Belle began running in syndication, remaining on the air through 1999. Two direct-to-video followups (which take place during the timeline depicted in the original film) were produced by Walt Disney Television Animation: Beauty and the Beast: The Enchanted Christmas in 1997 and Belle's Magical World in 1998; in contrast to the universal acclaim of the original, reception to the sequels was extremely negative. Disney on Ice produced an ice version of the movie that opened in 1992 in Lakeland, Florida. The show was such a huge commercial and critical success, touring around the world to sell-out crowds, that a television special was made when it toured Spain in 1994. The show ended its run in 2006, after 14 years. "Beauty and the Beast (video game)" redirects here. For the 1996 sequel to The Last Ninja, see Beauty and the Beast (Commodore 64). The first video game based on the film was titled Beauty and the Beast: Belle's Quest and is an action platformer for the Sega Genesis. Developed by Software Creations, the game was released in North America in 1993. It is one of two video games based on the film that Sunsoft published for the Genesis, the other being Beauty and The Beast: Roar of the Beast. Characters from the film like Gaston can help the player past tricky situations. As Belle, the player must reach the Beast's castle and break the spell to live happily ever after. To succeed, she must explore the village, forest, castle, and snowy forest to solve puzzles and mini-games while ducking or jumping over enemies. Belle's health is represented by a stack of blue books, which diminishes when she touches bats, rats, and other hazards in the game. Extra lives, keys and other items are hidden throughout the levels. While there is no continue or game saving ability, players can use a code to start the game at any of the seven levels. The second video game based on the film was titled Beauty and the Beast: Roar of the Beast and is a side-scrolling video game for the Genesis. As the Beast, the player must successfully complete several levels, based on scenes from the film, in order to protect the castle from invading villagers and forest animals and rescue Belle from Gaston. The third and fourth video games based on the film are action platformers developed by Probe Software and published by Hudson Soft. One, titled Beauty and the Beast, was released in Europe in 1994 for the NES, while the other, Disney's Beauty and the Beast, was released in North America in July 1994 and in Europe on February 23 1995 for the SNES. The entire games are played through the perspective of the Beast. As the Beast, the player must get Belle to fall in love so that the curse cast upon him and his castle will be broken. The final boss of the game is Gaston. The Beast can walk, jump, swipe, stomp, super stomp, and roar, the last of which is used to both damage enemies and reveal hidden objects. The fifth video game based on the film was titled Disney's Beauty and the Beast: A Boardgame Adventure and is a Disney Boardgame adventure for the Game Boy Color. It was released on October 25, 1999. The video game series Kingdom Hearts features a world based on the film, named "Beast's Castle", along with several of the film's characters. In the first game, the world has been destroyed and Belle kidnapped by the Heartless, led by Maleficent, but the Beast travels to Maleficent's stronghold and works with Sora to defeat Maleficent and rescue Belle and the other captured princesses. In Kingdom Hearts II, the world has since been restored following Ansem's defeat, but Beast and Belle are having difficulties due to the enigmatic Xaldin of Organization XIII attempting to bring out the Beast's darker side in order to turn him into a Heartless and a Nobody, but the Beast eventually comes to his senses and works with Sora once again to defeat Xaldin once and for all. In the game's ending credits, the Beast turns back into the Prince. In Kingdom Hearts: 358/2 Days, the world is featured as a playable level but the story is not essential to the main plot. In Kingdom Hearts χ, the world is featured again, this time as a hallucination that follows the plot of the movie more closely. The characters featured in the series are Beast, Belle, Lumiere, Gaston, Cogsworth, Mrs. Potts, Chip, Maurice, and the Wardrobe. After Gaston is defeated, the Beast transforms back into the Prince. Gaston does not appear in Kingdom Hearts II, the world's primary antagonist being Xaldin, an original character created for the series, but who shares several traits with Forte, the main antagonist of Beauty and the Beast: The Enchanted Christmas. ^ Speaking together, with some crosstalk, Gary Trousdale, Kirk Wise, Don Hahn, and Alan Menken confirmed on the audio commentary that Gaston died after he fell off the rooftops. ^ Stewart, Jocelyn (February 10, 2008). "Artist created many famous film posters". Los Angeles Times. Archived from the original on March 14, 2010. Retrieved February 10, 2008. ^ a b c "Beauty and the Beast". American Film Institute. Retrieved March 28, 2017. ^ "Beauty and the Beast (1991)". The Numbers. Retrieved April 3, 2017. ^ "Beauty and the Beast (U)". British Board of Film Classification. February 5, 1992. Retrieved September 28, 2016. ^ a b c d e "Beauty and the Beast". Box Office Mojo. ^ Le Prince de Beaumont, Jeanne-Marie (1783). "Containing Dialogues between a Governess and Several Young Ladies of Quality Her Scholars". The Young Misses Magazine (4 ed.). London. 1: 45–67. ^ "Toacorn.com: Dining and Entertainment section: "Beauty and the Beast stellar" Play review". Archived from the original on July 8, 2008. Retrieved February 2, 2010. ^ a b c d "Beauty and the Beast". Turner Classic Movies. Retrieved May 9, 2016. ^ Smith, Grady (October 4, 2011). "'Beauty and the Beast', 'The Little Mermaid', 'Finding Nemo', 'Monsters, Inc.' get 3-D re-releases". Entertainment Weekly. Retrieved October 27, 2011. ^ a b c d e "10 Top 10". AFI. November 13, 1991. Retrieved April 12, 2014. ^ a b c d e f g h i j k l m n Tale as Old as Time: The Making of Beauty and the Beast (VCD). Walt Disney Home Entertainment. 2002. ^ Thomas, Bob (1991). Disney's Art of Animation: From Mickey Mouse to Beauty and the Beast. New York. : Hyperion. pp. 160–2. ISBN 1-56282-899-1. ^ Cagle, Jess (December 13, 1991). "Oh, You Beast: Robby Benson roars to his roots – The former teen idol is the voice of Beast in Beauty and the Beast". Entertainment Weekly. Archived from the original on February 9, 2009. Retrieved February 2, 2009. ^ Thomas, Bob (1991). Disney's Art of Animation: From Mickey Mouse to Beauty and the Beast. New York: Hyperion. p. 178. ISBN 1-56282-899-1. ^ "The 50 Best Animated Movie Characters | 39. Lumiere | Empire". www.empireonline.com. Retrieved April 12, 2014. ^ Dougherty, Robert (March 11, 2009). "David Ogden Stiers Comes Out After Decades in the Closet - Yahoo Voices". voices.yahoo.com. Archived from the original on January 18, 2014. Retrieved April 12, 2014. ^ Alexander, Bryan (May 30, 2012). "Angela Lansbury Proud To Be Mrs. Potts from "Beauty and the Beast" Forever". NBC Bay Area. Retrieved April 12, 2014. ^ "Bradley Pierce". Rotten Tomatoes. Retrieved April 12, 2014. ^ "Hal Smith". Rotten Tomatoes. January 1, 1970. Retrieved April 12, 2014. ^ "Jo Anne Worley". Rotten Tomatoes. January 1, 1970. Retrieved April 12, 2014. ^ "Kath Soucie". Rotten Tomatoes. January 1, 1970. Retrieved April 12, 2014. ^ "Brian Cummings". Rotten Tomatoes. January 1, 1970. Retrieved April 12, 2014. ^ "Alvin Epstein". Rotten Tomatoes. January 1, 1970. Retrieved April 12, 2014. ^ "Tony Jay". Rotten Tomatoes. January 1, 1970. Retrieved April 12, 2014. ^ "Alec Murphy". Rotten Tomatoes. January 1, 1970. Retrieved April 12, 2014. ^ "Mary Kay Bergman". Rotten Tomatoes. January 1, 1970. Retrieved April 12, 2014. ^ "Frank Welker Filmography". Awn.com. Retrieved April 12, 2014. ^ Sito, Tom (2006). Drawing the Line: The Untold Story of the Animation Unions From Bosko to Bart Simpson. The University Press of Kentucky. p. 301. ISBN 0-8131-2407-7. ^ a b Nichols, Peter M. (2003). The New York Times Essential Library: Children's Movies. New York: Henry Holt and Company. pp. 27–30. ISBN 0-8050-7198-9. ^ a b c d e Hahn, Don (2009). Waking Sleeping Beauty (Documentary film). Burbank, California: Stone Circle Pictures/Walt Disney Studios Motion Pictures. ^ a b c Thomas, Bob (1991). Disney's Art of Animation: From Mickey Mouse to Beauty and the Beast. New York: Hyperion. pp. 142–7. ISBN 1-56282-899-1. ^ Griswold, Jerome (2004). The Meanings of "Beauty and the Beast": A Handbook. Broadview Press. p. 249. ISBN 1-55111-563-8. ^ Humphreville, Kim. "La Belle et la Bete". WCSU. Retrieved July 15, 2010. ^ Huver, Scott (May 30, 2012). ""Beauty and the Beast 3D" Gives Original Star Paige O'Hara a Whole New Perspective". NBC Chicago. NBCUniversal Media, LLC. Retrieved June 21, 2013. ^ Rusoff, Jane Wollman (November 22, 1992). "Beauty & The Bridge First She Charmed Us With Her Voice In Beauty And The Beast. Now Fort Lauderdale's Paige O'hara Takes On A Very Different Role In A Film About Chappaquiddick". Sun-Sentinel. The Sun-Sentinel. Retrieved June 21, 2013. ^ Nicholson, Amy (January 13, 2012). "Meet Paige O'Hara: The Voice—And More—Of Disney's Smartest Heroine". Boxoffice. Boxoffice Media. Archived from the original on December 21, 2014. Retrieved June 21, 2013. ^ "Interview With Paige O'Hara, The Voice Of Belle In "Beauty and the Beast"". Disney Dreaming. DisneyDreaming.com. October 5, 2010. Retrieved June 21, 2013. ^ Sands, Jez (October 25, 2010). "Beauty And The Beast: Paige O'Hara Interview". On the Box. OntheBox.com. Retrieved June 21, 2013. ^ Cerasaro, Pat (January 25, 2012). "SPOTLIGHT ON BEAUTY & THE BEAST 3D: Paige O'Hara". Broadway World. Wisdom Digital Media. Archived from the original on March 2, 2016. Retrieved June 21, 2013. ^ Kanfer (1997), p. 228. ^ "Proof Disney recycles scenes in different movies". News.com.au. October 3, 2016. Retrieved January 6, 2019. ^ "Hits of the World" (PDF). Billboard. March 28, 1992. p. 38. Retrieved May 18, 2015. ^ Nanda Lwin (1999). Top 40 Hits: The Essential Chart Guide. Music Data Canada. ISBN 1-896594-13-1. ^ Jasen, David A (2013). A Century of American Popular Music. United Kingdom: Routledge. p. 19. ISBN 9781135352646. ^ Haithman, Diane (August 17, 1991). "Unfinished 'Beauty' to Make Splashy Debut : Movies: The New York Film Festival will premiere Disney's animated work-in-progress on Sept. 29". Los Angeles Times. Los Angeles Times. Retrieved June 18, 2013. ^ Honan, William H. (August 19, 1991). "At the New York Film Festival, Works on Art". The New York Times. The New York Times Company. Retrieved June 18, 2013. ^ a b Cling, Carol (April 21, 2013). "More than 20 years after 'Beauty and the Beast,' Paige O'Hara still remembered as voice of Disney princess". Las Vegas Review-Journal. Stephens Media LLC. Retrieved June 18, 2013. ^ "Beauty and the Beast". Festival de Cannes. Retrieved August 16, 2009. ^ Ryan Ball (December 18, 2002). "Beauty and The Beast Added to National Film Registry". Animation Magazine. Retrieved March 18, 2014. ^ Barr, Jason (September 27, 2010). "Disney to Release Sing-Along BEAUTY AND THE BEAST for Limited Run". Collider. Retrieved January 14, 2013. ^ Mueller Neff, Martha (September 27, 2010). "Dress up, sing along to 'Beauty and the Beast' this week". The Plain Dealer. Retrieved August 14, 2011. ^ Stewart, Andrew (August 5, 2010). "Disney retools animation slate 3D Beauty reboot, Newt yanked from schedule". Variety. Retrieved August 15, 2011. ^ Hetrick, Adam (August 25, 2011). "Disney's "Beauty and the Beast" To Be Screened in 3D in Hollywood". Playbill. Retrieved June 17, 2015. ^ Kaufman, Amy (January 12, 2012). "Movie Projector: 'Beauty and the Beast', 'Contraband' fight for No. 1". Los Angeles Times. Retrieved January 13, 2012. ^ "Disney Re-Releasing Films In 3D: 'Beauty & The Beast,' 'The Little Mermaid,' Others Coming Back". October 4, 2011. Retrieved September 1, 2017 – via Huff Post. ^ "Beauty and the Beast (A Walt Disney Classic) [VHS]: David Ogden Stiers, Jerry Orbach, Paige O'Hara, Robby Benson, Richard White, Kirk Wise, Gary Trousdale: Movies & TV". Amazon.com. Retrieved March 18, 2014. ^ HUNT, DENNIS (October 2, 1992). "Real 'Beauty' Laser Out in '93". Retrieved September 1, 2017 – via LA Times. ^ "The Complete `Beauty'". chicagotribune.com. Retrieved September 1, 2017. ^ "Beauty and the Beast (Platinum Edition): Paige O'Hara, Robby Benson, Richard White, Jerry Orbach, David Ogden Stiers, Angela Lansbury, Bradley Pierce, Rex Everhart, Jesse Corti, Hal Smith, Jo Anne Worley, Mary Kay Bergman, Alan Menken, Gary Trousdale, Kirk Wise: Movies & TV". Amazon.com. Retrieved March 18, 2014. ^ a b Gustin, Maija (October 1, 2010). "Movie Rewind: Beauty and the Beast". The Observer. Archived from the original on October 6, 2010. Retrieved October 1, 2010. ^ Lufkin, Bryan (October 1, 2010). "'Beauty And The Beast' Stars: Where Are They Now?". Starpulse. Archived from the original on October 4, 2010. Retrieved October 1, 2010. ^ Lang, George (October 1, 2010). "Blu-ray Review: "Beauty and the Beast: Diamond Edition"". The Oklahoman (NewsOK). Retrieved October 1, 2010. ^ "United States Blu-ray Sales Chart for Week Ending October 10, 2010". The Numbers. October 17, 2010. Retrieved August 6, 2016. ^ "United States Combined DVD and Blu-ray Sales Chart for Week Ending October 10, 2010". The Numbers. October 17, 2010. Retrieved August 6, 2016. ^ "Top-Selling Blu-rays in the United States 2010". The Numbers. Retrieved August 6, 2016. ^ "Beauty and the Beast 3D Blu-ray: Diamond Edition". Blu-ray.com. Retrieved March 18, 2014. ^ Lucas Siegel (June 24, 2016). "Beauty and the Beast 25th Anniversary Edition Officially Announced". Comicbook.com. Retrieved June 24, 2016. ^ "'Ninja Turtles' and 'Beauty and the Beast' Split Top Disc Sales Honors". Variety. 2016-09-29. Retrieved 2016-09-29. ^ "Beauty and the Beast (1991)". Rotten Tomatoes. Fandango Media. Retrieved March 22, 2018. ^ "Beauty and the Beast Reviews". Metacritic. CBS Interactive. Retrieved December 14, 2016. ^ Pamela McClintock (August 19, 2011). "Why CinemaScore Matters for Box Office". The Hollywood Reporter. Retrieved September 14, 2016. ^ Janet Maslin (November 13, 1991). "Review/Film; Disney's 'Beauty and the Beast' Updated in Form and Content". The New York Times. Retrieved November 25, 2016. ^ Ebert, Roger (November 11, 1991). "Beauty And The Beast". Chicago Sun-Times. Ebert Digital LLC. Retrieved February 1, 2014. ^ Fragoso, Sam (March 12, 2014). "Beauty and the Beast (IMAX) Movie Review (2002)". Roger Ebert. Retrieved March 18, 2014. ^ Berardinelli, James (1991). "Beauty and the Beast". ReelViews. Retrieved December 30, 2013. ^ "'Beauty and the Beast'". The Washington Post. November 22, 1991. Retrieved March 19, 2014. ^ Maslin, Janet (November 13, 1991). "Movie Review - Beauty and the Beast - Review/Film; Disney's 'Beauty and the Beast' Updated in Form and Content". The New York Times. Retrieved March 19, 2014. ^ Dave Kehr (November 22, 1991). "Tame Beast". Chicago Tribune. Tribune Company. Retrieved March 19, 2014. ^ Jay Boyar (November 22, 1991). "'Beauty And The Beast': Lovely Tale Of Redemption". Orlando Sentinel. Retrieved March 19, 2014. ^ Hartl, John (November 22, 1991). "Entertainment & the Arts | A Classic Feel Already - Voices, Visuals Fit Superbly In Disney's `Beast'". The Seattle Times. Retrieved March 19, 2014. ^ Siskel, Gene (November 22, 1991). "'Beauty And The Beast' Has A Song In Its Heart". Chicago Tribune. Tribune Company. Retrieved March 19, 2014. ^ Sragow, Michael (December 2, 1991). "Beauty and the Beast". The New Yorker. Archived from the original on January 23, 2008. Retrieved March 19, 2014. ^ Smoodin, Eric (1993). Animating Culture. Rutger's University Press. p. 189. ISBN 0-8135-1948-9. ^ Smoodin (1993), p. 190. ^ Barrier, Michael (1999). Hollywood Cartoons: American Animation in Its Golden Age. New York: Oxford University Press. p. 571. ISBN 0-19-503759-6. ^ Whitley, David (2008). The idea of Nature in Disney Animation. Ashgate Publishing Limited. pp. 44–57. ISBN 978-0-7546-6085-9. ^ Collura, Scott; Fowler, Matt; Goldman, Eric; Schedeen, Jesse; Pirrello, Phil; White, Cindy (June 24, 2010). "Top 25 Animated Movies of All-Time". IGN. Archived from the original on July 17, 2010. Retrieved July 15, 2010. ^ "'Beauty and the Beast' review: Animated Disney musical's charms lost in translation". Chicago Tribune. March 14, 2017. Retrieved March 14, 2017. ^ "How 'Beauty and the Beast' Characters Changed from 1991 to 2017". observer.com. March 21, 2017. Retrieved September 1, 2017. ^ Sims, David. "'Beauty and the Beast' Is a Tale as Old as Time, Told Worse". theatlantic.com. Retrieved September 1, 2017. ^ "1991 DOMESTIC GROSSES". Box Office Mojo. Retrieved October 6, 2011. ^ "$100 Million Movies". The Washington Post. Retrieved July 15, 2010. ^ "Disney's Animated "Beauty and the Beast" Celebrates 10th Anniversary with Worldwide Large Format Debut at Record 100 Theaters on Jan. 1". The Tech Museum. Archived from the original on January 3, 2013. Retrieved May 9, 2012. ^ "Beauty and the Beast (IMAX)". Box Office Mojo. Retrieved October 6, 2011. ^ Young, John (January 15, 2012). "Box office report: 'Contraband' tops 'Beauty and the Beast 3D' with $24.1 mil". Entertainment Weekly. Time. Retrieved March 18, 2014. ^ "Weekend Report: 'Contraband' Hijacks MLK Weekend". Box Office Mojo. January 15, 2012. Retrieved March 18, 2014. ^ Clevland, Ethan (January 16, 2012). ""Beauty and the Beast" return with $18.5 million". Big Cartoon News. Archived from the original on December 2, 2012. Retrieved January 16, 2012. ^ Rottenberg, Josh (January 15, 2012). "'Beauty and the Beast' gives 3-D another big boost, but is this really about 3-D or is it just about nostalgia?". Entertainment Weekly. Time. Retrieved March 18, 2014. ^ "Beauty and the Beast (3D)". Box Office Mojo. ^ a b c d e f g h i j k l "The 64th Academy Awards (1992) Nominees and Winners". oscars.org. Retrieved October 22, 2011. ^ RopeofSilicon.com LLC (January 18, 1992). "1992 Golden Globe Award Winners". Rope of Silicon. Retrieved March 18, 2014. ^ "1993 Grammy Nominations | Grammy nominees - Baltimore Sun". Articles.baltimoresun.com. January 8, 1993. Retrieved March 18, 2014. ^ "AFI Crowns Top 10 Films in 10 Classic Genres". ComingSoon.net. American Film Institute. June 17, 2008. Archived from the original on August 18, 2008. Retrieved August 18, 2008. ^ a b "Top Ten Animation". American Film Institute. Archived from the original on June 19, 2008. Retrieved June 18, 2008. ^ a b American Film Institute (June 11, 2002). "AFI's 100 YEARS...100 PASSIONS". Afi.com. Retrieved March 18, 2014. ^ a b American Film Institute (June 22, 2004). "AFI's 100 YEARS...100 SONGS". Afi.com. Retrieved March 18, 2014. ^ "AFI's 100 Years...100 Movies" (PDF). American Film Institute. Retrieved October 12, 2012. ^ "AFI's 100 Years...100 Heroes and Villains" (PDF). American Film Institute. Retrieved October 12, 2012. ^ "AFI's 100 Years...100 Songs" (PDF). American Film Institute. Retrieved October 12, 2012. ^ American Film Institute (September 3, 2006). "AFI's 100 YEARS OF MUSICALS". Afi.com. Retrieved March 18, 2014. ^ "AFI's 100 Years...100 Movies (10th Anniversary Edition)" (PDF). American Film Institute. Retrieved October 12, 2012. ^ a b c Evans, Everett (November 28, 1993). "Disney Debut; First stage musical, Beauty, will test waters in Houston". The Houston Chronicle. p. 8. ^ Rogers, Rick (July 29, 2012). "Sigmund Romberg / Beauty and the Beast". NewsOK.com. NewsOK.com. ^ "'Beauty' Moving From Palace To the Fontanne". The New York Times. The New York Times Company. December 12, 2014. ^ a b c d e f Simonson, Robert (April 18, 2000). "Beauty and the Beast Celebrates Sixth Anniversary, April 18". Playbill. Retrieved March 18, 2014. ^ Pacheco, Patrick (June 8, 2011). "Tony Awards: Tony Awards' musical numbers are key to box-office success". Los Angeles Times. Retrieved March 18, 2014. ^ Bahr, Lindsey (June 4, 2014). "Disney taps Bill Condon to direct a live-action 'Beauty and the Beast'". Entertainment Weekly. Retrieved June 5, 2014. ^ "Bill Condon to Direct Live-Action 'Beauty and the Beast' Film for Disney (EXCLUSIVE)". variety.com. June 4, 2014. Retrieved June 5, 2014. ^ "'Twilight' director Bill Condon will translate Disney's 'Beauty and the Beast' to live action (UPDATED)". Hitfix. June 4, 2014. Archived from the original on June 5, 2014. Retrieved June 5, 2014. ^ Sperling, Nicole (September 29, 2014). "'Perks of Being a Wallflower' author will adapt 'Beauty and the Beast'". Entertainment Weekly. Retrieved September 30, 2014. ^ Zuckerman, Esther (January 26, 2015). "Emma Watson will be Disney's new Belle in live-action musical 'Beauty and the Beast'". Entertainment Weekly. Retrieved January 26, 2015. ^ "Luke Evans to Play Gaston in Disney's 'Beauty and the Beast' (EXCLUSIVE)". variety.com. March 4, 2015. Retrieved March 5, 2015. ^ Kit, Borys (March 4, 2015). "Disney's 'Beauty and the Beast' Casting Dan Stevens as the Beast (Exclusive)". Hollywood Reporter. Retrieved March 16, 2015. ^ "Josh Gad Joining Disney's Live-Action 'Beauty and the Beast' (Exclusive)". The Hollywood Reporter. March 13, 2015. Retrieved March 13, 2015. ^ Zuckerman, Esther (March 16, 2015). "Emma Thompson will play Mrs. Potts in Disney's Beauty and the Beast". Entertainment Weekly. Retrieved March 16, 2015. ^ "Ian McKellen to Play Cogsworth in Disney's Beauty and the Beast". comingsoon.net. April 10, 2015. Retrieved April 11, 2015. ^ "'Ewan McGregor to Play Lumiere in 'Beauty and the Beast' (Exclusive)". The Hollywood Reporter. April 21, 2015. Retrieved April 21, 2015. ^ "Stanley Tucci Rounds Out Cast of 'Beauty and the Beast' (EXCLUSIVE)". Variety. April 21, 2015. Retrieved April 22, 2015. ^ "'Beyond the Lights' Star Gugu Mbatha-Raw Joins 'Beauty and the Beast' (EXCLUSIVE)". Variety. April 13, 2015. Retrieved April 16, 2015. ^ McNary, Dave (March 16, 2015). "Disney's Live-Action 'Beauty and the Beast' Set for March 17, 2017". Variety. Retrieved March 16, 2015. ^ "Alan Menken Confirms 3 New Songs for BEAUTY AND THE BEAST Film; Broadway Tunes Will Not Be Included". broadwayworld.com. June 5, 2015. Archived from the original on September 10, 2017. Retrieved June 5, 2015. ^ "Todd Lieberman Offers Updates on ALLEGIANT and Disney's BEAUTY AND THE BEAST". collider.com. March 7, 2015. Retrieved March 11, 2015. ^ "Disney's Live Action BEAUTY AND THE BEAST Officially Wraps Production!". Broadway World. August 27, 2015. Archived from the original on September 10, 2017. Retrieved June 10, 2016. ^ "Emma Thompson and Kevin Kline Join Beauty and the Beast, Release Date Set". comingsoon.net. March 16, 2015. Retrieved March 16, 2015. ^ "Disney's 'Beauty and the Beast' Continues Inspiring New Merchandise Coming to Disney Parks « Disney Parks Blog". Disneyparks.disney.go.com. Retrieved March 18, 2014. ^ "Disney Princess Collection: Belle's Sing Me a Story [VHS]: Princess Belle: Movies & TV". Amazon.com. Retrieved March 18, 2014. ^ "Beauty and the Beast - The Enchanted Christmas (Special Edition): Paige O'Hara, Robby Benson, Jerry Orbach, David Ogden Stiers, Bernadette Peters, Tim Curry, Haley Joel Osment, Frank Welker, Jeff Bennett, Jim Cummings, Kath Soucie, Paul Reubens, Andrew Knight, Daniel Lee, Susan Kapigian, Bill Motz, Bob Roth, Cindy Marcus, Flip Kobler: Movies & TV". Amazon.com. Retrieved March 18, 2014. ^ "Beauty And The Beast - Belle's Magical World (Special Edition): Jeff Bennett, Robby Benson, Paige O'Hara, Jim Cummings, Jerry Orbach, David Ogden Stiers, Gregory Grudt, Rob Paulsen, Kimmy Robertson, Anne Rogers, Frank Welker, April Winchell, Barbara Dourmashkin, Bob Kline, Burt Medall, Cullen Blaine, Dale Case, Daniel de la Vega, Mitch Rochon, Alice Brown: Movies & TV". Amazon.com. Retrieved March 18, 2014. ^ a b "You Cannot Resist The Joy Of 'Disney On Ice'—So Don't Even Think About It | ARTery". Artery.wbur.org. February 15, 2014. Retrieved March 18, 2014. ^ "Release information". GameFAQs. Archived from the original on March 24, 2009. Retrieved August 27, 2008. ^ "Disney's Beauty and the Beast: Belle's Quest (1993) screenshots". MobyGames. Retrieved August 14, 2011. ^ "Disney's Beauty and the Beast: Roar of the Beast for Genesis (1993)". MobyGames. Retrieved August 14, 2011. ^ a b "Release information". MobyGames. Retrieved May 16, 2008. ^ "Release information". GameFAQs. Archived from the original on December 31, 2009. Retrieved May 2, 2008. ^ "ProReview: Disney's Beauty and the Beast". GamePro (61). IDG. August 1994. p. 58. ^ "Disney's Beauty and the Beast: A Board Game Adventure: Video Games". Amazon.com. Retrieved March 18, 2014. ^ "Part 1 - Beast's Castle - Kingdom Hearts 2 Wiki Guide". IGN. March 28, 2006. Retrieved March 18, 2014. ^ "Part 2 - Beast's Castle - Kingdom Hearts 2 Wiki Guide". IGN. March 28, 2006. Retrieved March 18, 2014. Wikimedia Commons has media related to Disney's Beauty and the Beast.